Childish Gambino made history at the 2019 Grammy Awards on Feb. 10 by taking home a Song of the Year win for his critically-acclaimed chart-topping song “This is America.” Gambino (aka Donald Glover) became the first hip-hop artist in Grammy history to win Song of the Year. He also won Record of the Year, Best Music Video and Best Rap/Song Collaboration. Gambino did not attend the 61st Annual Grammy Awards ceremony. So, presenters John Mayer and Alicia Keys accepted the Song of the Year Award on his behalf. Gambino shares the Song of the Year victory with co-writers Ludwig Goransson (who also co-produced the song) and Jeffrey Lamar Williams. “This is America” had been a Song of the Year favorite heading into the ceremony. It touches on many themes, including police brutality and was dissected and discussed by many for several other deeper ideas presented in the music video. The “Atlanta” star notably beat out Lady Gaga’s Oscar-nominated song “Shallow,” which recently won a Golden Globe Award for Best Original Song. Gaga took home three Grammys total, including Best Pop Solo Performance for “Joanne (Where Do You Think You’re Goin’?)”. During his acceptance speech for the Record of the Year win, Swedish native co-writer Goransson gave a shout out to Gambino, calling the record “his vision.” He also touched on the widespread message in the song saying, “No matter where you’re born or where you’re from, ‘This Is America’ speaks to you.” Several remakes of the music video were indeed created around the world and took YouTube by storm. The comment drew lots of applause from the audience. Gambino’s quadruple set of awards from the 2019 Grammys bring his career Grammys total to five wins out of 12 nominations. There are many featured artists on “This is America,” including Young Thug, Quavo, and 21 Savage. Goransson also gave a shout out to the latter artist during his speech (Watch it below). 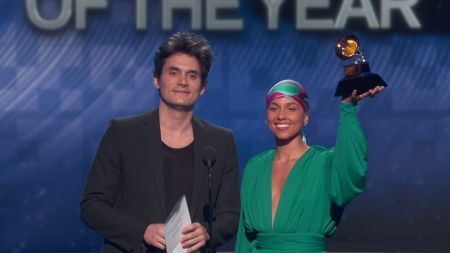 See a Complete list of winners for the 2019 Grammy Awards. 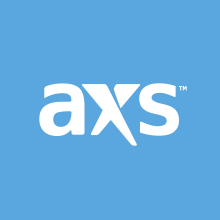 Stay tuned to AXS for news and updates on Childish Gambino.